If you have ever seen what is inside your fuel tank, you really have to wonder. Fuel filters keep the fuel going to your injection system clean, so the exact correct amount of fuel is injected. 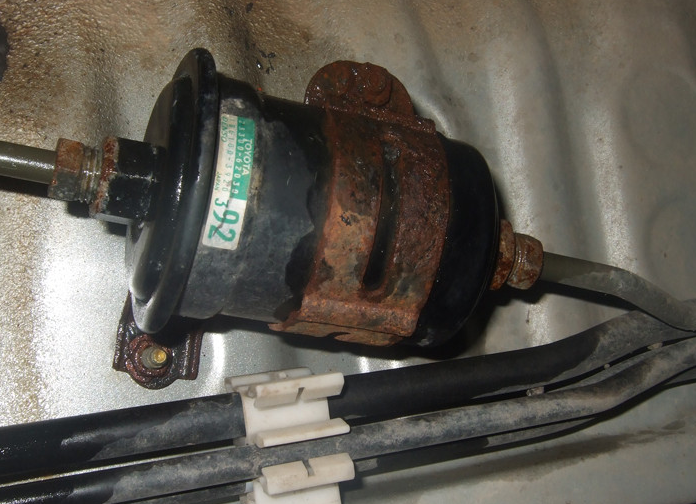 If you have ever had a fuel filter clog up and the flow of fuel stop, you know that you are not going anywhere. 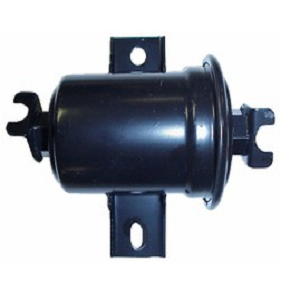 Toyota claims that the OEM fuel filter does not have to be replaced until you replace the engine. Once you see where the filter is located on a four cylinder engine, that is comforting since it can hardly be seen. Many Toyota enthusiasts say they have over 200,000 miles on the original and have not had any issues. That may have been before ethanol was introduced in gasoline, or maybe they are just that good. If you want the insurance of having a new filter on your Toyota, it will not hurt to replace it. The filters themselves are inexpensive, but be prepared for an ugly job if you replace it yourself whether it is a four or six cylinder. The filter is either on the side of the four cylinder engine under the intake or under the vehicle if it is a six. You can save yourself the $100 or so that you will have to pay to have it replaced, but be prepared for a nasty job that can ruin your entire day. 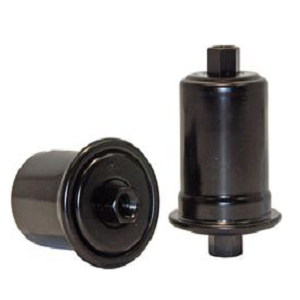 If your truck is a four cylinder, the filter is bolted to the engine; if a six cylinder, it is underneath. Figure 1. Four cylinder fuel filter. Figure 2. Six cylinder fuel filter. Four cylinder vehicles have the filter bolted to the engine under the intake system. Figure 3. Fuel filter on four cylinder. Six cylinder vehicles have the filter underneath, basically under the driver. 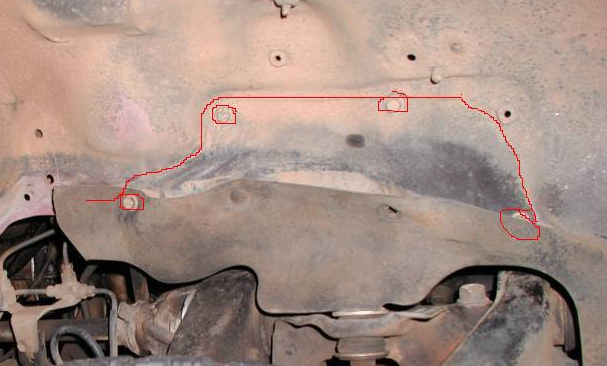 Your truck may have a heat shield over the filter (Figure 4). Figure 4. Fuel filter shield. Remove the shield to find the filter. Before removing the filter, remove the gas cap and the fuel pump fuse. Start the vehicle, which will die from lack of fuel. As you can see, it is in a terrible place. Follow the fuel lines if you need help locating it. Loosen the fuel lines while the filter is still bolted to the engine. Hold the 17mm nut on one end, the filter with an open end wrench, and then use a 14mm socket to loosen the banjo fitting. It will be tight with little room to work. 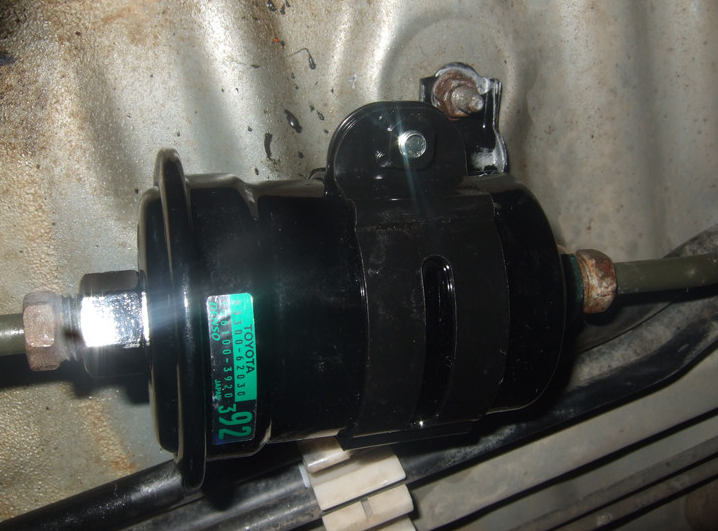 Fuel will leak when the fitting is loosened. Then, do the same to the other end of the filter. Access mounting bolts from the passenger wheel well. There may be an access panel on the wheel well to help get to the bolts. Figure 6. Access panel on fender well. When the lines are loose, unbolt the two 12mm bolts holding the filter to the block. You will have to use a bunch of extension to reach the bolts. Take the filter out. Wire brush the two 10mm nuts to clean them. Soak the nuts with penetrating fluid. Let the fluid work, since you do not want to break the studs off. While the fluid is working, put a 19mm open end wrench on the fuel filter nut and loosen the fuel line with a 14mm line wrench. Catch any gasoline that leaks from the filter in a catch pan. Remove the 10mm nuts and let the fuel filter go into the catch pan. Do not twist the filter without the fuel lines being loose. Work new filter into position and bolt back to engine block. Replace the copper washer on each end of the banjo fitting and tighten. Replace fuel pump fuse and start the engine to check for leaks. Immediately fix any leak. If your new filter does not include a bracket, transfer the old one. Set it over the studs and attach the nuts, tightening them snug. Reattach the lines like that were removed. Start the engine and check for leaks. Replace the shield. Figure 7. New filter installed. It will pay you to use either an OEM Toyota or premium quality replacement filter, so it will last a long time.